When it comes to water, when does less really mean more? The answer is important to various interests across the basin, where drought in recent years has resulted in insufficient water for agriculture and aquatic life, especially fish listed as endangered. 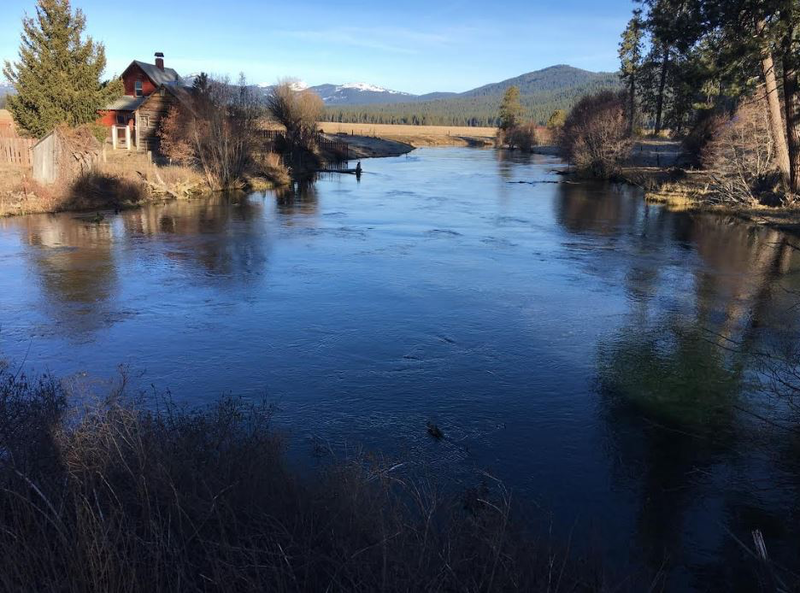 One of the keys to managing the water resources is understanding not only how much water flows into Upper Klamath Lake, but how management of water resources in streams affects flow into that lake as well. Upper Klamath is an important body of water for many reasons. It’s home to endangered suckers. It also is the source of water for irrigation on the Bureau of Reclamation’s Klamath Project. 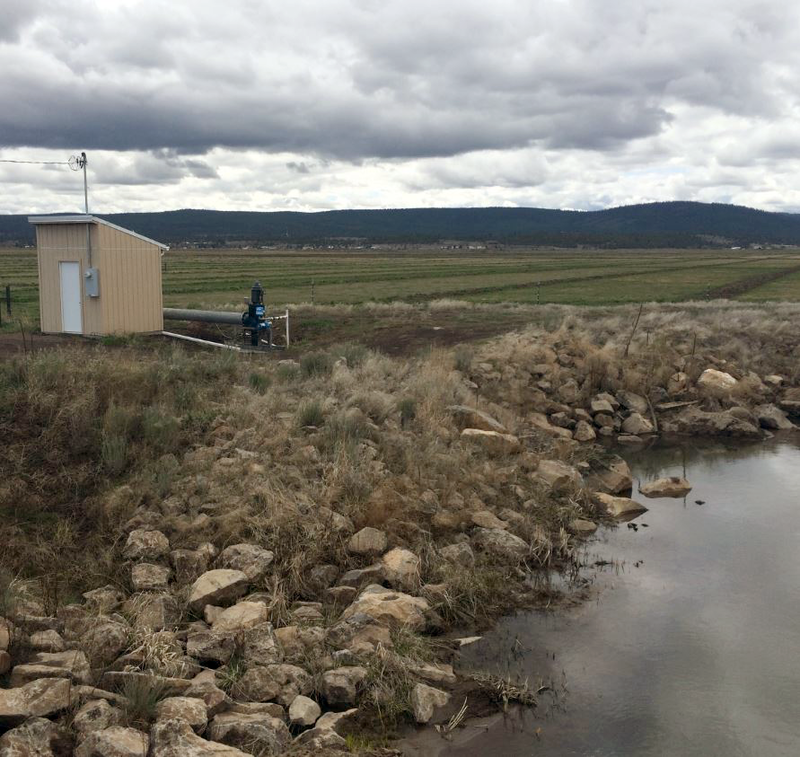 Droughts in recent years have forced regulators to reduce or curtail irrigation withdrawals from streams that flow into the lake, giving rise to the question: How much water then is flowing into Upper Klamath Lake from the reduction in irrigation. That’s where Senay and his colleagues come in. Senay uses remotely sensed data scaled to Landsat 30-meter resolution and energy-balance principles to model the rates of evaporation and transpiration on fields in the upper basin. Energy balance involves an understanding that plants regulate their tissue temperatures by balancing energy inputs and outputs. As water and nutrients are transported from the soil to the plant’s leaves, evapotranspiration (ET) plays a major role in regulating leaf temperature through evaporative cooling, which requires conducting an energy balance between incoming sunlight and outgoing evaporation. Important to Senay’s work is the knowledge that through expended energy, a fully transpiring vegetated area can appear up to 40 degrees Fahrenheit cooler than bare areas with little evaporation. When used in combination with local weather datasets for irrigated lands, Senay’s model can provide increasingly accurate and repeatable estimates of actual ET—the amount of combined water that either evaporates from the soil and vegetation surfaces, or is transpired by plants. The amount of ET then is a measure of how much irrigated water is being consumed by crops in this arid basin. Figuring out how much water flows into Upper Klamath Lake from the reduction in irrigation simply requires taking ET during a year when irrigation is reduced and comparing it with a year when there is normal irrigation. That consistent, accurate, and efficient approach to estimating the amount of water consumed by irrigated crops is particularly useful in arid cropland areas that require supplemental water because of insufficient rainfall and soil moisture. In a nutshell then, resource managers in the upper basin are asking Senay to use his ET models to help determine whether water management is succeeding. Using independent satellite data from space for their ET maps, Senay said his group started working on the Klamath Basin issue in 2017 with funding from the Bureau of Reclamation. To begin with, they tapped into Landsat’s rich archive to produce ET maps from 2004 and 2006—representing a dry year and a wet year back when much less water regulation was occurring. Then they averaged the two to arrive at a baseline for comparing water usage in each of 2013, 2014, 2015, and 2016, when more significant water management occurred. While 2013 showed significant decreases in water consumption and irrigation along the tributaries upstream from Upper Klamath Lake, other years weren’t so definitive, Senay said. That, Conlon added, wasn’t necessarily surprising. In 2013, curtailment of irrigation in the upper basin was widespread, “so that was probably the clearest response to the management, and the easiest to say that there was a change” in water consumption, Conlon said. In years after 2013, however, the management of irrigation was more variable, including allowing irrigators to turn diversions back on if streamgages showed stream flows would allow for it. “So from a scientific standpoint of trying to tease things out, now it’s not kind of black and white; it’s a lot of grays,” Conlon said. The USGS Oregon Water Science Center office has attempted other methods for measuring water consumption in the upper basin, Conlon said. For example, it also looked at stream flow in years with reduced irrigation and tried to compare it with years of normal irrigation. Whether using Senay’s remote-sensing technique or the stream-flow technique, ET or stream flow were compared during a year with normal irrigation to one with reduced irrigation. That then helped in determining how the management of irrigation affected stream flow into Upper Klamath Lake. The only problem with that approach was finding a year with normal irrigation that had similar snowpack and precipitation for comparison to a year with water management. Figuring out the appropriate base years for comparison was challenging as well, Conlon said. Tamara Wood of the USGS Oregon Water Science Center developed a model using regression techniques that predicted stream flows during a year with normal irrigation based on snow accumulation, precipitation, and other climate variables. The stream-flow method then has a way to overcome the problem of finding a year with comparable snowpack and precipitation. Although Senay’s method used a fixed year for comparison, what his method offered was the ability to not be dependent on stream flows, but to base consumption strictly by what was being consumed by plants on a field-to-field basis. So while the stream-flow technique provides an estimate of flow into the lake from irrigation management at a point in a stream, “(Senay’s model) provides an estimate of flow and can show where the changes in irrigation occur and how much they contribute to the change in flow into Upper Klamath Lake,” Conlon said. For now, Senay’s product has been beneficial on year-to-year comparisons. Conlon said the various parties involved in the upper basin would like to see those findings get to a monthly, or even weekly, measurement of water use. “If there was a way to quantify in real time or close to real time what additional water is available from management, then regulators could more efficiently manage irrigation in the area,” Conlon said. Perhaps they will get there some day, he added. For now, however, they like the option and the product they are getting out of USGS EROS. This entry is filed under Agriculture, News, Water.